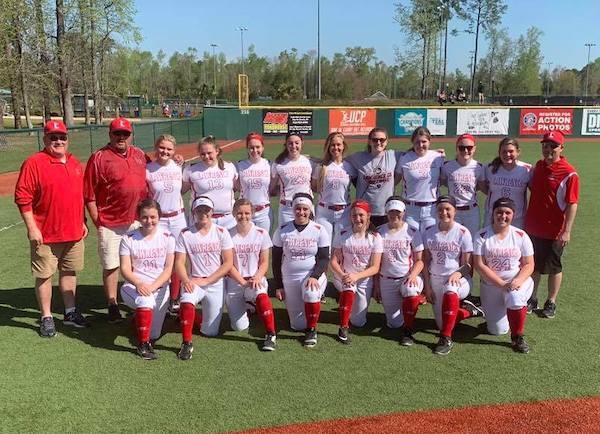 MYRTLE BEACH, SC — Lawrence Co. Softball is 2-1 on their annual spring break trip to the Cal Ripken experience in South Carolina with one game remaining. Lady Bulldog Seniors Abby Fletcher and Amber Triplett enjoying their last Spring Break trip to the Beach. 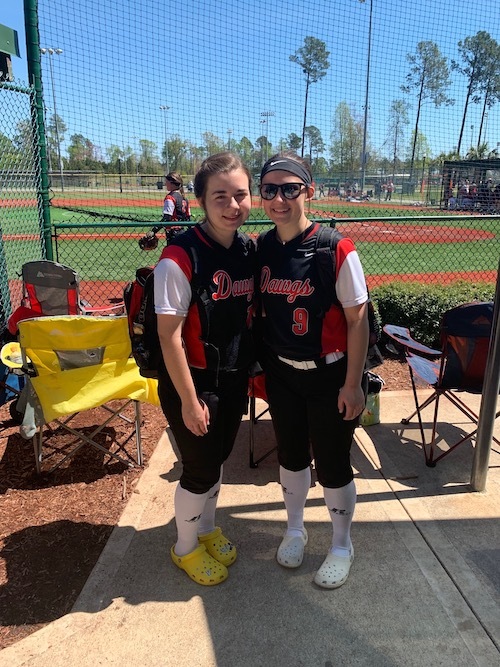 The Dawgs opened up Spring Break with a mercy rule victory behind Kensley Feltner who went 4-4 with 3 doubles and drove in 6 runs, Halli Caudill had 4 hits and scored twice, Amber Triplett had 3 hits and scored 3 times, Mackenzie Methax 2 hits, Abby Nelson 2 hits including a double, Abby Fletcher doubled and scored 2 runs, Ashley Hayes and Kassidy Cavins scored 2 runs. Alli Triplett was strong in the circle for the Lady Dawgs. Lady Dawg Centerfielder Halli Caudill tracking down a fly ball. 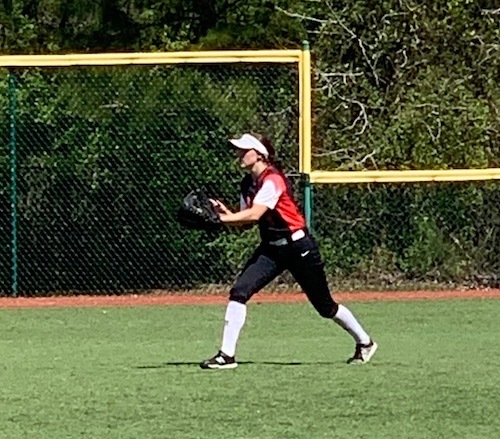 Amber Triplett had 2 hits and 2 RBIs to pace the Lady Bulldogs who came up just short against the team from the Volunteer State. Alli Triplett pitched well in defeat and had 1 hit and scored a run, Kassidy Cavins had a hit and scored a run, Halli Caudill and Kensley Feltner had 1 hit each. Amber Triplett continued her hot hitting with 4 more knocks she also scored 4 times and drove in 3 runs, Mackenzie Methax had 3 hits including a double and drove in 3 runs, Kensley Feltner had 3 hits including a double, Abby Nelson doubled and drove in 2, Halli Caudill scored 3 times and had 1 hit, Alli Triplett who pitched well also had a hit and scored once, Abby Fletcher had 1 hit. The Lady Bulldogs will finish out the trip with a game Thursday against Middlesboro.